Nissan has begun dispatching the KICKS from their Chennai plant across to their dealerships in time for the launch on January 22nd. Customer test drives have also commenced at dealerships for the KICKS. Nissan has announced that 500 of the KICKS owners stand a chance to win tickets to the 2019 ICC Cricket World Cup. 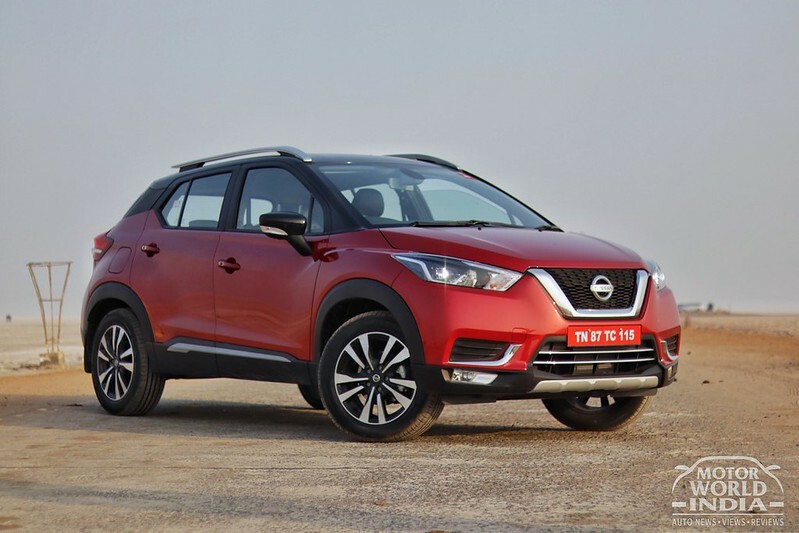 The company opened the bookings for new Nissan KICKS in December 2018 and since then, it has received an overwhelming response. Customers can also book on www.nissan.in at the booking amount of INR 25,000. Out of the bookings made in January 2019, 500 customers, who purchase Nissan KICKS, will get a chance watch the ICC Cricket world Cup in England. * The winners would be chosen via a lucky draw. The Nissan KICKS is the latest SUV from the Japanese car maker for India. The Kicks is built on the Renault Duster’s M0 platform with many updates to it. The SUV is a extremely good looker when viewed from any angle and has a nice big stance due to the 17-inch alloys along with a ground clearance of 210 mm that adds to the SUV look. The Nissan KICKS comes with features like Floating Roof Design created by blacked out pillars with Stylish Roof Rail, Signature LED DRLs, Front Fog Lamps and Door Mounted ORVS with Indicators, first-in-class Around View Monitor Display (AVM) 360 Camera, Floating 8 inch infotainment system with Apple CarPlay and Android Auto and Nissan Connect, auto climate control, four airbags, ABS with EBD, Brake assist, Hill start etc. Powering the Nissan KICKS is the 1.5 Litre Petrol engine with 104bhp and 142Nm of torque and the 1.5 Lire DCi Diesel engine with 108 bhp and 240 Nm of torque. Transmission duties on the petrol version is done by a 5-speed manual box while the diesel version comes with an 6-speed transmission on offer. The ICC Cricket World Cup ticket offer gives you just another reason to book the smart looking Nissan KICKS. Watch this space for more details on the Nissan KICKS as it gets launched on the 22nd of January.